Kitchen countertops take a lot of abuse from household residents from the moment they’re installed. They endure all sorts of spills, wear and tear from heavy kitchen equipment and appliances as well as daily use, and the many instances of being used as a cutting board. All of this results in numerous dings and cuts on the surface of a countertop—which means it’s time for replacements. Anyone looking to redo their kitchen countertops should consider these factors when making their new selections. Choosing something that will stand the test of time and look fresh 20 years from now can be a challenge. How will future generations view modern styles of today? Here’s a look at countertop trends through the years, some of which you’ll still see in homes today. 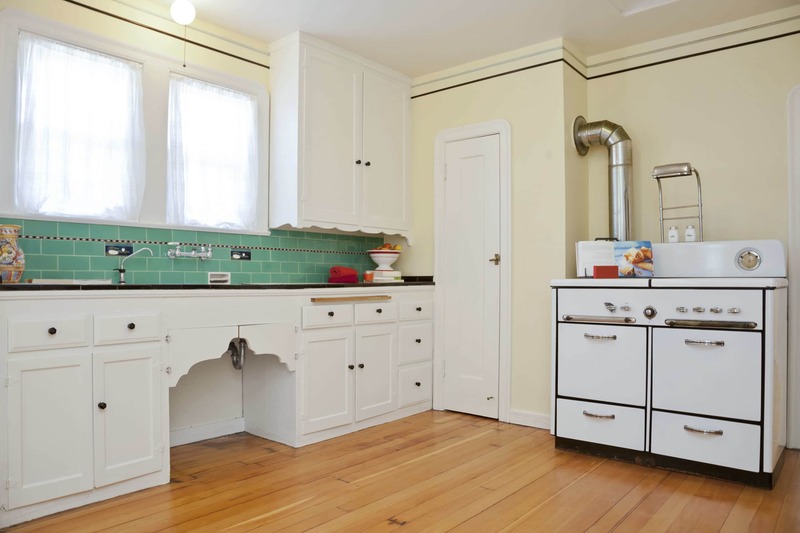 Many people wouldn’t think about or realize that the material selected for their countertops date their kitchen back to a specific era. It pays to understand past and current countertop trends before making a final selection to replace your worn and outdated kitchen countertops. 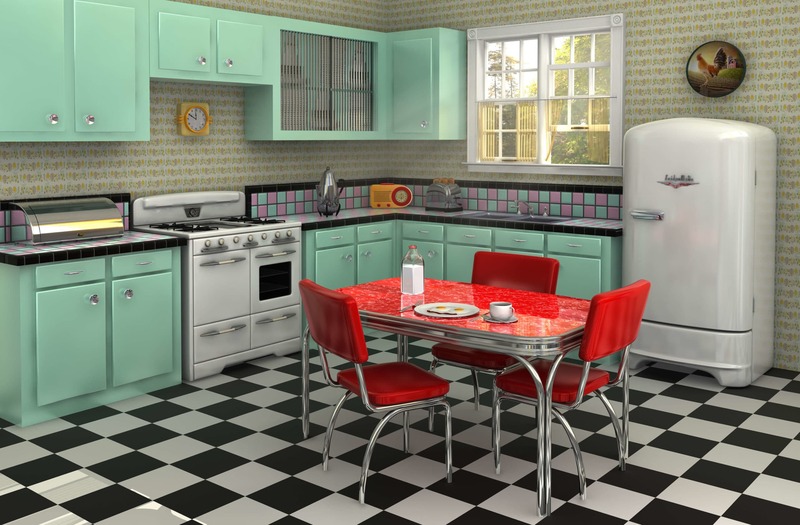 The bright look and feel of kitchens from this era were due to the prevalent use of laminates such as Formica for countertops. People could get it in any color imaginable, and they often did! Yellow, red, green, blue—homeowners were excited and anything seemed possible. Formica also became popular because it was so easy to clean, and it was resistant to cigarette burns. As the disco era exploded, so did the use of granite for countertops in the 1970s. The impact of granite countertops was and is still impressive nowadays, requiring specialized skill to cut and create unique pieces for each countertop section. The use of laminates also remained prevalent, evolving to incorporate wild patterns and color schemes that reflected the mood of the era. Many homeowners chose tile countertops due to the wide selection of colors and patterns available in the 1980s. The popularity of tile countertops also grew due to its easy installation and durability. It gave modern kitchens a more sophisticated look, but for a lower cost than granite. The biggest issue with tile, however, was cleaning the grout, which stained easily and provided fertile ground for bacteria to thrive. Solid-surface countertops emerged as a popular trend during the 1990s. They were made of material such as Corian, which imitated the look of stone countertops. Black was one of the most popular color choices for these countertops, which continued through the early 2000s. 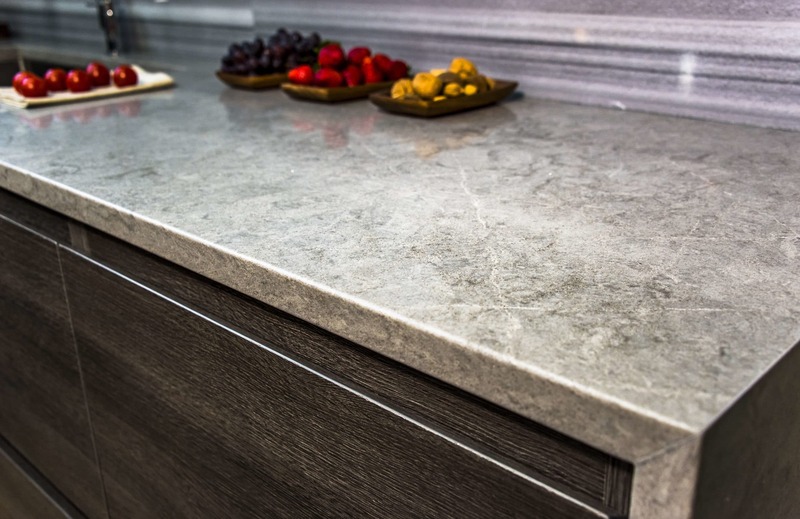 Stone-based countertops have been the ideal choice for homeowners looking to design their kitchens to have a modern look and feel. Quartz recently emerged (around 2010) as an alternative to traditional frontrunners like granite. It has the advantage of being less porous while providing buyers with the same level of durability. Most recently, countertops in neutral colors with a natural finish have surged in popularity in recent years—over colorful countertops with shiny finishes. This includes the search for textured or honed finishes with unusual veining or patterns in the stone, which hide fingerprints well and contrast nicely with the variety of wood types used for cabinets and paneling. Having trouble finding the right style for your new countertops? 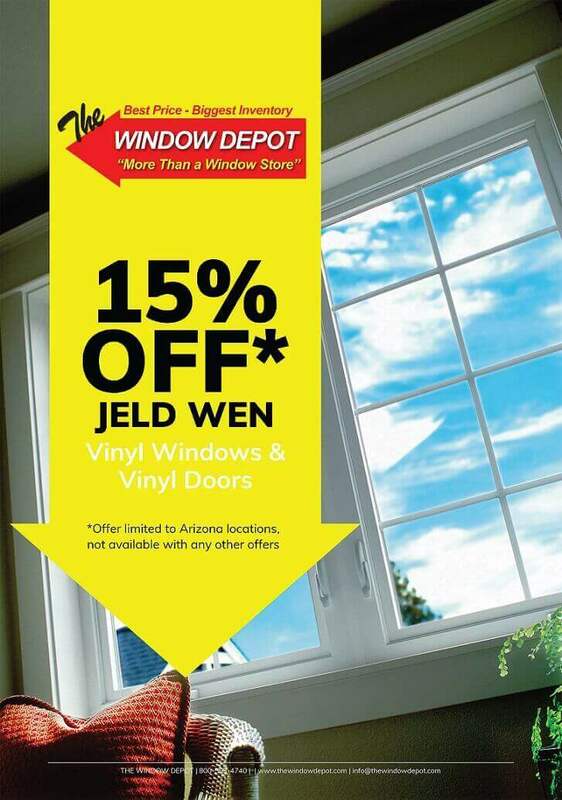 The Window Depot provides a wide selection of kitchen countertop styles and materials to choose from. With locations in Arizona, California, New Mexico, and Texas, The Window Depot is here to help you choose new kitchen countertops for your home! Please call us anytime at (800) 593-4740 with any questions.